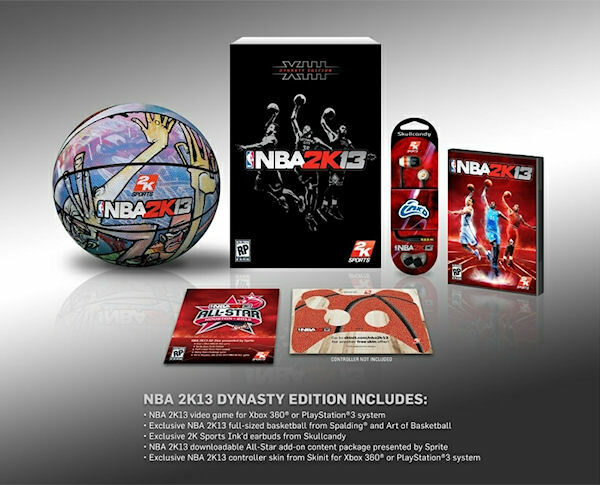 If your hopes for the forthcoming NBA2K13 (PS3, Xbox 360) are high enough to pre-order, you might as well go all out with the Dynasty Edition. For $99.99, you’ll receive a snazzy Spalding basketball decked out in some funky art; Skullcandy earbuds; basketball-textured controller skin; and add-on content for the big-selling hoops game due in October. You can get your copy through the NBA2K13 Facebook page here.